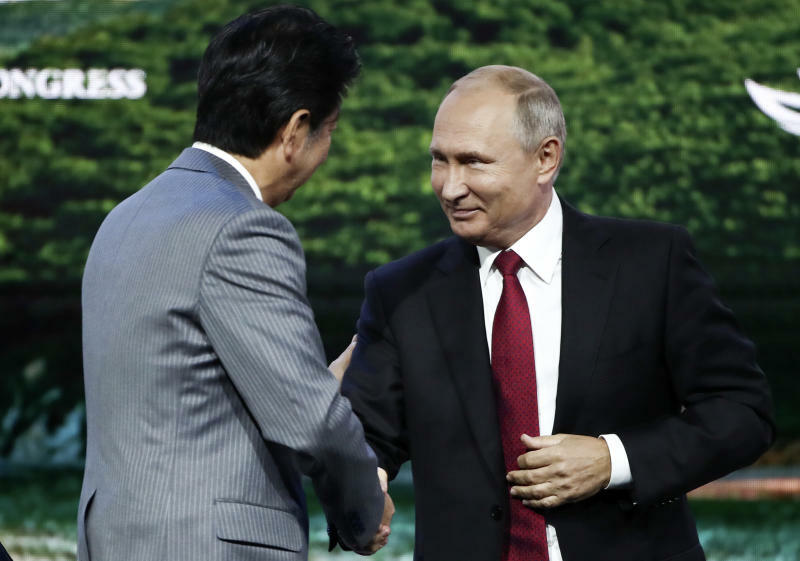 MOSCOW (AP) — Russian President Vladimir Putin on Wednesday suggested that Russia and Japan should sign a much-anticipated peace treaty formally ending hostilities from World War II before the end of the year. Japanese Prime Minister Shinzo Abe has been pushing for a way forward in the dispute, with the two leaders holding numerous meetings and reportedly getting as close to solving the row as they have ever been. 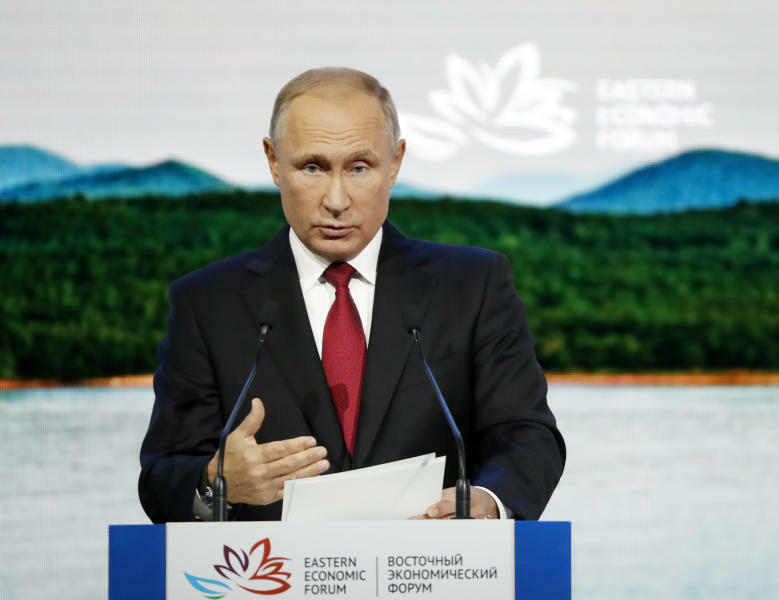 Speaking at an economic conference in Russia's Far East, Putin suggested that Russia and Japan sign the treaty this year and solve the territorial dispute later. "Let's sign the peace treaty — not now, but before the end of the year, without any preconditions," Putin said, addressing Abe who was also sitting at the same panel. "And later we will continue to talk about all of our disagreements as friends on the basis of a peace treaty." For the past several years Putin and Abe have been discussing ways to solve the longstanding dispute, including making the four most southern of the Kuril Islands, which Japan calls the Northern Territories, a joint economic zone. "Japan and Russia — both President Putin and myself — share the same position and determination to solve our territorial disputes," he said in comments carried by Russian news agencies. "And to that end we need to meet more often and figure out common positions."